The series of posts we’ve been doing this week about reading on the iPad all started with the release of Virgin’s brand new digital magazine, PROJECT, last week. 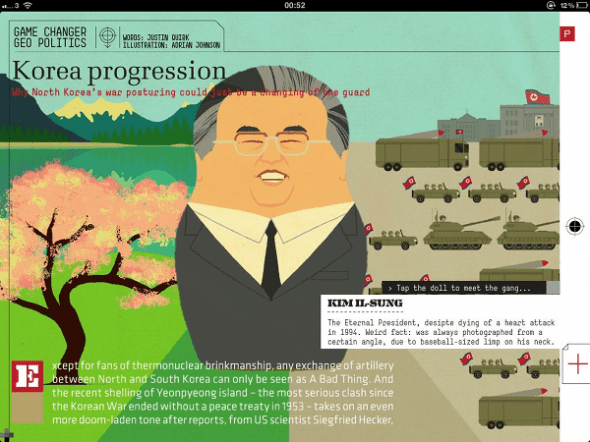 Since taking a look at the magazine, we’ve covered the best apps from comic books and newspapers. For today’s post, we’re going back to the magazine, taking another look at PROJECT, and taking a look at the Economist too. Don’t worry, I won’t give you a whole review of PROJECT; I already did that one! You may remember that I loved PROJECT’s first edition when I took a look at it last week, despite a few initial hurdles such as the stability of the download and mastering navigation between pages. I commented on how it’s remarkably polished for such a complex magazine. The content is always changing throughout the month, so that you aren’t stuck with an identical read for the duration of the month, and it’s offered for a bargain price of £1.79 an issue. The content of the magazine is brilliant, as good as any I’ve read with a broad topic area to cover many interests. 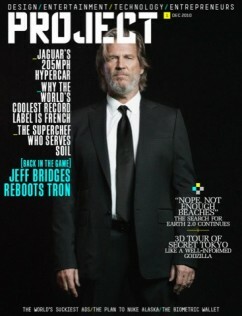 Political pieces are made comical, technology pieces are interactive, and Jeff Bridges is on the cover. What else do you need?! 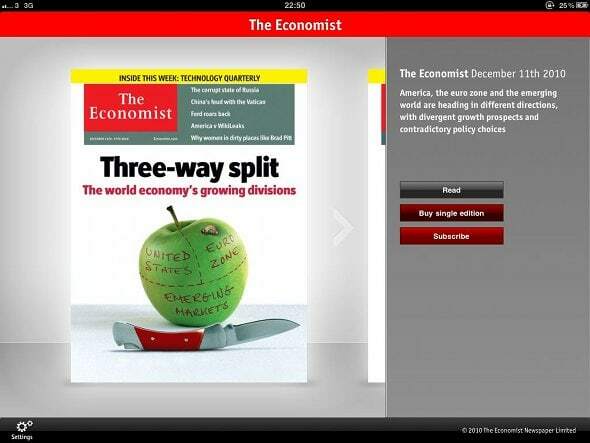 Why the Economist? Bit of a dry topic for a technology blog, isn’t it? Maybe so, but the latest edition contains a piece on ‘Technology Quarterly’, and offers a lot of insight in to not only the world’s economy, but also some very current issues including the reaction to all the events following WikiLeaks of late. Beyond the content, though, is an app that is incredibly well made. It contrasts PROJECT in most ways that it can, whilst also managing to be one of the most read apps on my iPad. There isn’t any interactive content to be blown away by, but I’ve found it to be a great reading experience. 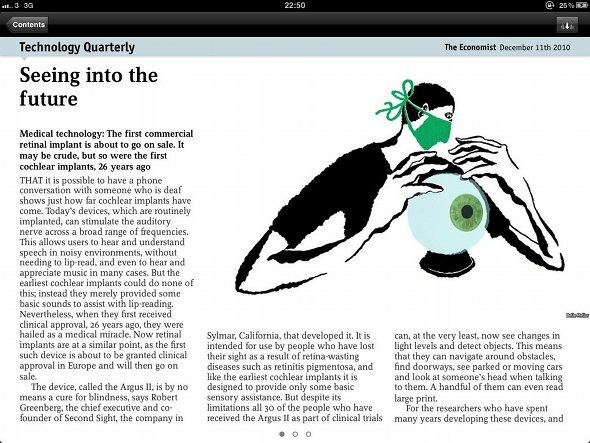 When you open the app, you’re given a visually engaging view of all the issues that you can download and read. 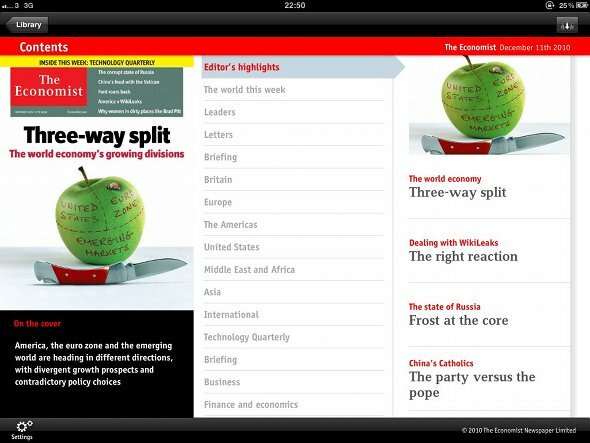 If you aren’t a subscriber to the Economist print magazine, then you are limited to reading the editor’s highlights. If you’re a subscriber then the whole magazine is unlocked and ready to be read. From the main menu, simply select an issue that you wish to read (the latest ones will appear automatically when they are available) to be taken to the contents of that issue. You can select topics from the list in the menu, and the stories will appear on the right of the screen. Simply tap any of these to begin reading. The articles themselves are laid out so that they are easy to read, without any advertisements intruding on the page. It may be simple, but in this case simple is most definitely the way to go. Likewise, navigation proves effortless with a simple swipe left or right between pages. The only down side to the Economist is the price, which comes in moe expensive than PROJECT at £3.49 an issue. With this said, however, the quality of the content is up there with the best, and it’s a must have for any existing subscriber. An annual subscription to the magazine is £99. So there you have it! Two great magazines on the iPad which are both worth a good look at. If you have any more ideas, or publications that you’d like to see covered, let us know in the comments, or send your suggestion to either myself or Zath on Twitter.